Are you looking for an escape from the hustle and bustle of everyday life? 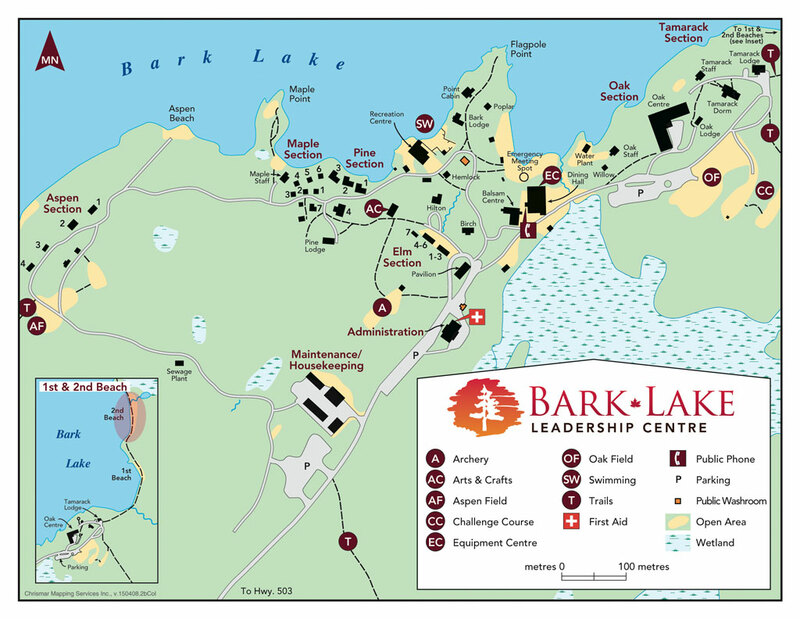 Then Bark Lake Leadership and Conference Centre is the perfect place for your cottage get away! We’ve already mentioned the natural setting, but did you know that there is more to us than just rocks, trees, and water? We also provide comfortable rustic facilities, tasty Canadian food, spacious meeting areas and courteous staff. That’s the Bark Lake Advantage! 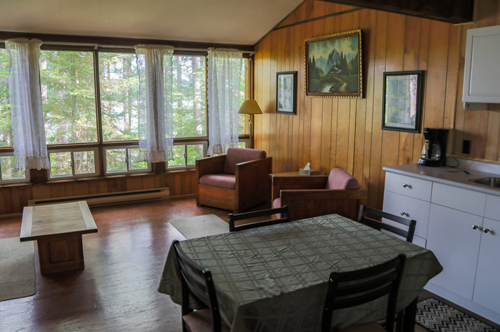 Nestled amongst a mature red pine forest, overlooking the lake, this three-bedroom cottage is ideal for families looking to get away from it all. Features include a full kitchen, lounge area, and a three piece bathroom. Two rooms contain one single and one double bed. A third bedroom contains two single beds. 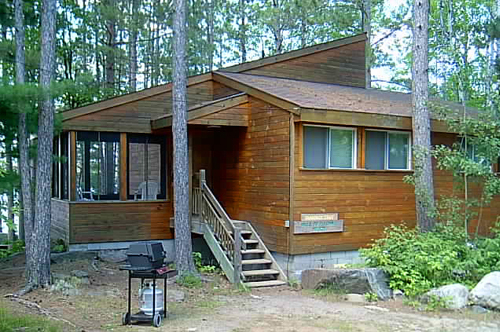 This cottage also offers a screened in porch, creating a perfect place to relax or play. Nestled in its own quiet bay, this family-friendly cottage provides a sense of privacy while at the same time allowing access to all that Bark Lake has to offer. 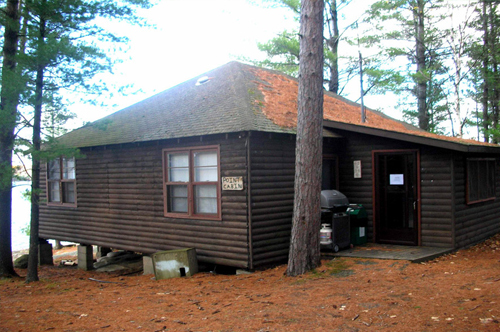 This cottage features its own beach, fire pit, and one of the best views of the lake. The interior features a kitchen, lounge area, and three-piece bathroom. Two bedrooms contain two single beds each. A third bedroom features one single and one double bed. 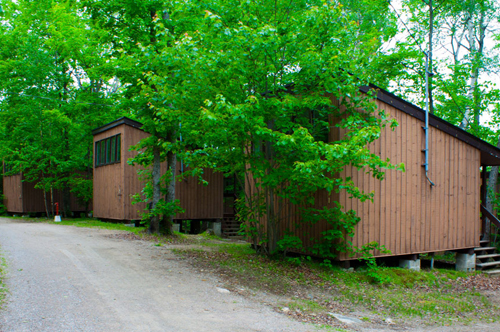 These four family-friendly cabins each feature a small sitting area, bathroom, and bunk bed accommodations. Additionally, Aspen 3 and 4 feature a full kitchen. 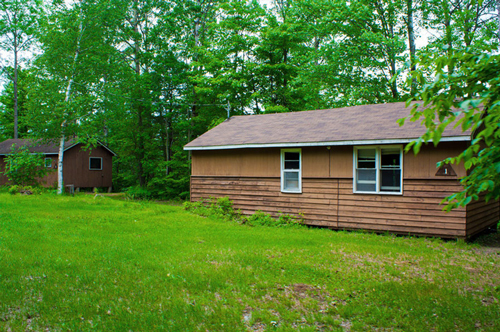 These cabins include their own fire pit, activity field, and are the most private onsite. This family-friendly historic cabin offers rustic charm with modern amenities; including four bedrooms, a sitting area, two washrooms, and a kitchen. 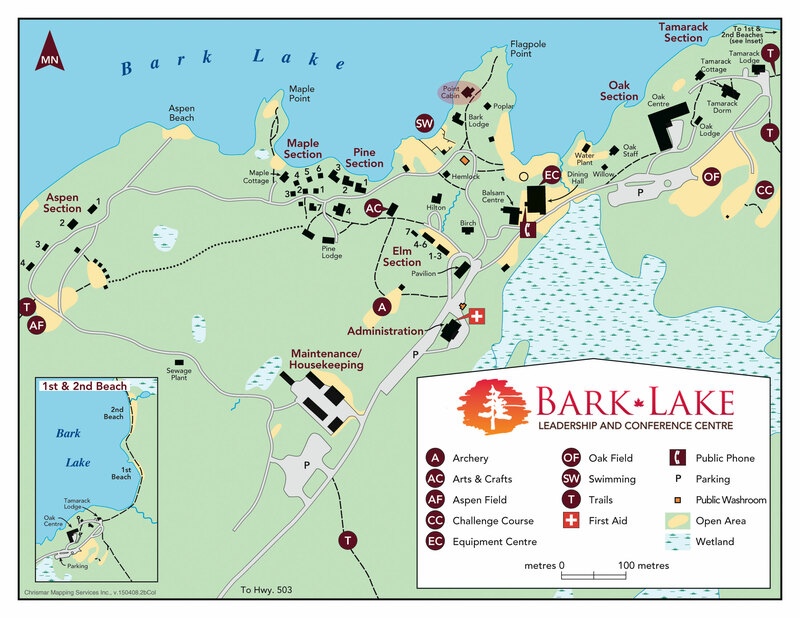 To top it all off, enjoy a world famous Bark Lake sunset from the lakeside deck or your private campfire pit. 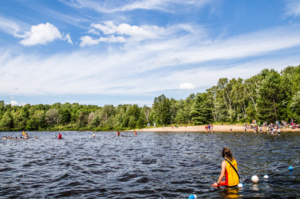 This large sandy beach with a shallow designated swim area is a perfect place to kick back and relax! Just a short stroll from the main site, this private beach features amenities such as a volleyball court, outhouses, and a fire pit. Click here to check out our location map. Each cottage comes equipment with a full kitchen. Additionally, we can provide you with that all important cottaging amenity, a BBQ. Forgot something for your meal? The nearby communities of Kinmount, Minden, and Haliburton all have grocery stores. Prices are subject to change – book now to reserve the current price. A deposit is required to secure your dates. Please contact our Sales Coordinator for more information or to book your stay.